As photographers, we heavily rely on memory cards, because they store images captured by our cameras and we use them to transfer images to our computers / main storage. 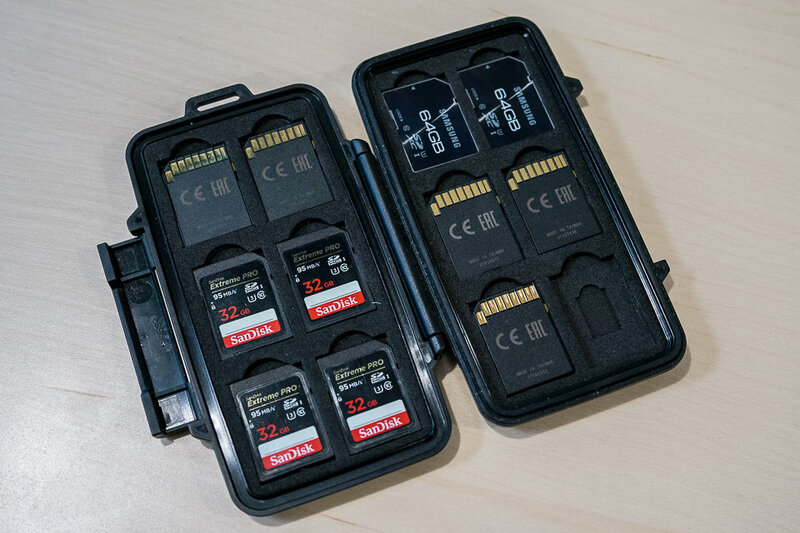 In some cases, photographers even rely on memory cards to be their secondary or tertiary backups when shooting in the field. The role of memory cards in a photography workflow should not be underestimated – a failed card may not only lead to many problems and frustrations, but can also create bigger problems, especially when dealing with commercial clients who could make the photographer liable for loss of their images. 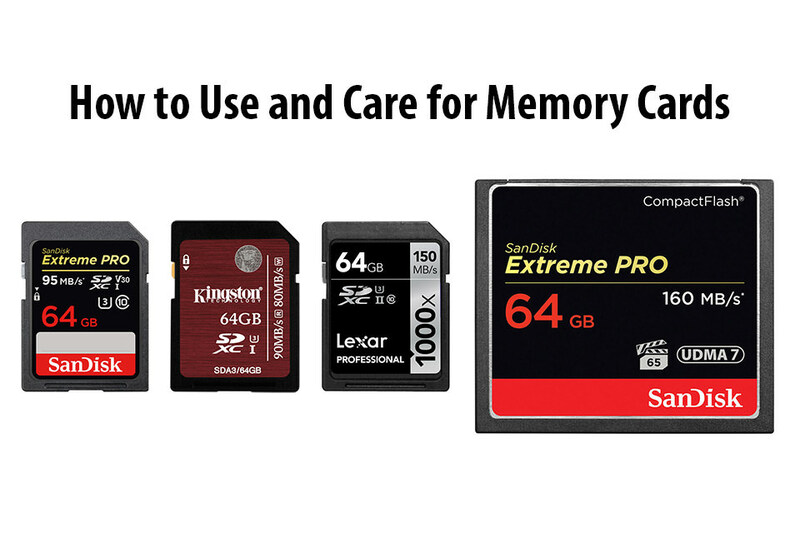 In this article, I will share some tips on how to properly use memory cards and how to take care of them based on my many years of experience, both as a photographer and as an IT professional. In my opinion, nothing is worse than telling a newlywed couple that their entire wedding was lost due to a bad memory card. While a commercial photo shoot can be re-shot, even at a great cost, it is nearly impossible to re-shoot a whole wedding. Therefore, it is important to understand that a memory card is not just a simple storage accessory; its role as a reliable storage media tool should never be overlooked. Unfortunately, there is too much conflicting information on the Internet in regards to how one should use and treat memory cards, with very little evidence, which sadly leads to misunderstanding and misuse of memory cards in the field. So aside from standard recommendations, I will also go through such topics and explore them in detail, which will hopefully clear out some of the confusion. With so many different memory card brands out there at varying pricing levels, it might be tempting to go for a much cheaper, no-name brand card. However, before you make your purchasing decision, you should seriously decide if you are willing to deal with potential failures and problems of such cards in the future. Also, factor in the cost of replacement – if you buy a no-name brand card and it fails, you will most likely be stepping up to get a much higher quality branded card, so your initial investment becomes a waste. If you start out with a good brand card and anything happens to it, you can count on the manufacturer’s warranty to get you a working replacement. Lastly, don’t forget to value your time as well! If a card fails, you might spend many hours trying to recover the content. Considering how cheap high quality memory cards have gotten nowadays, why even take the risk of choosing a no-name brand? Why not go with a good, reliable brand to begin with? So if you want to have less headaches in the future, make sure to buy memory card brands you can trust! Once you know which brand of memory cards you want to buy, make sure to buy those memory cards from authorized sellers. This one is even more important than #1, because there are too many fake memory cards out there! Remember, all SD cards more or less look the same, so if someone slaps on a SanDisk label on an OEM card, you would have no idea that you are dealing with a fake memory card. Some Chinese manufacturers find ways to not only fake the memory cards themselves, but also closely imitate the original retail packaging, making the card look pretty authentic. So if you found a card that you like at B&H Photo Video or Adorama but the price looks a bit too steep for your liking, don’t fool yourself if you find something much cheaper on eBay. Companies like SanDisk dictate their pricing with retailers, so if their pricing changes at one retailer, it should be mirrored with another (unless the sale is a one-off exclusive, such as the Deal of the Day at Amazon). If you shop for memory cards at Amazon, make sure that the card is sold and shipped by Amazon – there have been reported cases of fake memory cards being sold by third party sellers there. Even if you find a good deal on used or refurbished memory cards, I would highly discourage you from buying those. The problem with used and refurbished memory cards, is that you don’t know how frequently those cards were used before you. If the photographer used those cards heavily, it means that the memory card cells have less life left in them, so you might start encountering issues with those cards sooner than you would expect, especially if you are a busy photographer. Unlike most cameras that can show you total number of actuations, memory cards do not keep a track of how many times write operations took place. So if someone tells you that their card was “barely used”, there is no way for you to check if the seller is telling you the truth. In addition, you don’t know how well the photographer took care of those cards and if there is any warranty left on the cards, you most likely will not be able to transfer the warranty under your name. Memory cards are incredibly cheap nowadays, so I would not try to save a buck or two by attempting to get used ones. Sadly, for most memory card manufacturers, it is all about the labels and the numbers they can slap on their memory cards to boost their sales, which means that you should not expect real, honest information on those labels. If a memory card says that it can do 95 MB per second speeds, it does not mean that the memory card is actually going to be able to get to those speeds. In fact, did you know that the published transfer numbers on memory cards often only reflect the read speed, but not the write speed? So if you see something like 95 MB/sec transfer rate on a memory card, that only shows the potential speed of the transfer from your memory card to your computer. The word “potential” is key here, because those advertised speeds are the maximum theoretical speeds a memory card can reach when doing sequential writes of large files. Over the years, I found that most memory cards cannot reach their maximum advertised speeds, which is disappointing. So if you buy a memory card that claims fast read and write transfer rates, try to copy large-size files to and from the memory card to see if those numbers reflect the reality. But do make sure that you have a fast enough reader that can actually take advantage of those speeds (see #6 below for more information). I have tried to test out my SanDisk Extreme Pro cards that claim to have up to 95 MB/sec read and 90 MB/sec write rates and I have never been able to reach those speeds. At most I was able to get to was around 85 MB/sec read and 73 MB/sec write speed on those cards and they were the best of the bunch – others were even worse in comparison. So when you are evaluating a memory card for purchase, don’t just look at the label – pay close attention to detailed specifications that show not just the maximum read speed, but also tje maximum write speed. Then once you receive the card, make sure to test it out. If transfer speeds are incredibly slow, you might be dealing with a fake memory card. Another tip for memory cards is not to buy the super large capacity ones. If you average a few hundred shots on your memory card, that’s good enough – you don’t need a memory card that can accommodate thousands of pictures (exception would be wildlife photographers, who shoot a lot of frames). Why? Because if that super large capacity memory card fails, you will lose everything on it. This is especially important for those who shoot critical projects and events. If you have a trip of your lifetime, it might sound appealing to just use one single memory card and not worry about changing memory cards. But if anything happens to that memory card and you don’t have backups, then you will lose all the pictures from that trip. Unless you have a very solid backup workflow, where you make sure to back up images after each shoot, you should not stash on those large capacity memory cards. Now if you have an advanced camera that has multiple memory card slots, having a single large capacity memory card could be useful. Many photographers use the second memory card slot as a “backup” and use a large capacity memory card in that slot without taking it out – they just replace the first memory card as needed. John Bosley does this for his wedding work and he is yet to lose files from important photo shoots and weddings he is involved in. If you follow a similar practice, large capacity memory cards are not necessarily evil. Just don’t save all the precious work in one memory card, without any backups! Also, if you do shoot with multiple memory card slots in overflow mode (one memory card fills up and the camera starts recording to the second one), try not to delete images using your camera! When shooting in overflow mode and deleting images, you never know which particular memory card contains which photos. The camera will automatically place images in the first card that has the available space. This was a hard lesson learned for me, since I was stupid enough to delete pictures from the main memory card and I kept on shooting the best pictures to it without any backups. I then managed to lose that memory card when traveling, which contained the most valuable pictures from the trip! I wrote about my experience in this article back in 2011 and even promised a reward if someone found my card and handed it back to me, which sadly never happened. How big should the capacity of memory cards be? Well, it all depends on the size of individual files your camera creates. If you shoot 14-bit uncompressed RAW, your files are going to take a lot of space and you might need a bigger card to accommodate a few hundred of those images. If you shoot losslessly compressed RAW with a low to medium resolution camera, you might get away with smaller cards. When shooting with my Nikon D750 and D810 cameras, I often shoot with 32 GB cards. But when doing video work, shooting with a higher resolution camera or shooting a lot of panoramas, I might use a 64 GB card. I only own a single 128 GB card, which I bought primarily for shooting wildlife and for keeping it as a backup. Keep in mind that requirements for memory cards will change overtime. With the increase of resolution and bit depth in cameras, you might need to start moving up to larger capacity memory cards in the future. While it is a myth that you must only buy memory card readers from reputable brands like SanDisk and Lexar, chances of having a more reliable card reader from a better brand are higher simply because of better quality control. 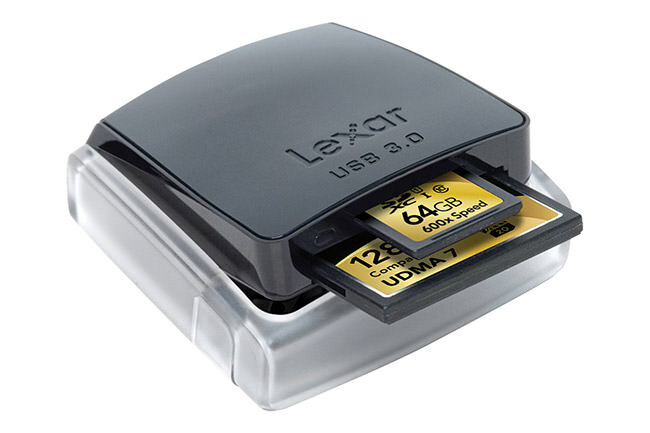 Over the years, I have used many different memory card readers from Lexar, SanDisk and other third party manufacturers. I have never managed to damage a memory card because of a bad memory card reader, but there is always a potential to damage a card, especially during write operations. If a memory card reader fails at the time of writing, the chance of killing a card completely is pretty high. So as long as the memory card reader is not a really bad knock-off, it should do just fine. Most SD card readers built into laptops have the same OEM chips you will find on many other standalone memory card readers. So for the most part, the underlying technology is the same in most memory card readers. I personally prefer Lexar card readers over SanDisk ones, because I found them to be reliable and fast. SanDisk just has not paid much attention to its card readers – they are often inferior compared to Lexar ones in terms of technology and features. My favorite is the Lexar Professional Workflow, which in my opinion is the best card reader on the market thanks to its versatility – I can use the unit to transfer multiple memory cards at the same time and I could even add SSD storage to the unit for backups. If you don’t need such a setup, the much simpler and smaller Lexar Professional USB 3.0 Dual-Slot Reader is also superb and works out very well for both laptop and desktop use. I usually take the latter when I travel with my Surface Pro, since it does not have an SD card reader. But if your laptop already has an SD card reader, then you don’t need to get an external unit, unless your memory card reader is very old and it cannot support fast transfer speeds of the latest memory cards. When using memory cards, it is always a good practice to format those memory cards in your camera, and preferably, the camera brand you are going to be shooting with. While it is not necessary to format memory cards in cameras and you could go through the same process on your computer, I find it simpler and faster to do it in my camera. When shooting with my Nikon DSLRs, all it takes to format a memory card is holding two buttons with red labels on the camera, then confirming the process by pressing those two buttons again. I could format all cards from my memory card holder in a minute or two, which is very convenient. The other reason why you might want to format memory cards in your camera, is because some camera brands like Sony create a small database / index of files on memory cards after formatting them, so if your memory card does not contain those files, the camera will complain that the database does not exist and it will attempt to create the file structure and the database before the memory card can be used. Instead of going through these hassles, I find it better to just format all the memory cards you have in the same camera you are planning to shoot with. This way, you just pop a new memory card in and you are ready to keep on shooting. You do not want your computer to do a low-level format of your memory cards. In fact, performing a low-level format, where the computer will go through each memory block on your card and fill it with zeros is bad for the overall health of your memory card, especially if you do it often, since those are write operations and each memory cell on your memory card only has so many writes to it before it becomes unusable. Plus, low-level formatting takes forever to complete, and if you ever want to retrieve files in case of accidental formatting, you will never be able to do so. When formatting memory cards in your camera or performing a Quick Format on your computer, the formatting process simply re-creates the index table that stores where files are physically located on the memory card, so existing files are simply written over when a write operation takes place. You don’t see those files on your camera or your computer, but they are still there. That’s why it is possible to restore images from a memory card, even if the card is formatted. It is important to note that memory cards under 32 GB are typically formatted with FAT32 file system as seen above, whereas cards with larger capacities will be formatted with exFAT file system, due to capacity and file size limitations. Keep this in mind when manually formatting cards on your computer. Some people choose to move contents of memory cards instead of formatting them. That’s a perfectly fine practice and there is nothing wrong with doing that, but I personally stay away from delete and move operations on my memory cards. Reading contents of a memory card is always going to be faster than read + delete. Also, I do have a practice of not using the same memory cards when shooting in the field. If anything happens to my computer when traveling, I still want to be able to have all of my images safe in another location – see my notes under #13 below on best practices for field use of memory cards and their potential value as secondary / tertiary backup. 8) Keep Camera Batteries Charged! Keeping your camera batteries charged is obviously a no-brainer. However, some of us are guilty of pushing cameras to their limits until batteries fully die. I never thought that a dead battery could cause a memory card card to fail completely until last year. John and I were recording our Level 1 Post-Processing and Workflow Course in the studio and I did not pay attention to the battery level on the primary camera. The battery died while recording and after I popped a new battery in, I saw the dreaded “ERR” message. I knew something was going on with the memory card, so I took it out of the camera, put it on my computer and it was not recognized. The failed write operation completely killed the memory card to the level that I could not even format it anymore! Needless to say, we had to reshoot the whole section the next day because of this and it was not a pleasant experience. Ever since, we have been paying close attention to the battery level – the moment the camera flashes with a red battery sign in live view, we have been swapping the batteries out. Better safe than sorry! Another obvious mistake to avoid is unplugging a memory card while any read or write operations are taking place. While a read operation might do no damage to the card, an interrupted write operation often causes memory card corruption, as it happened in the above-mentioned situation. The same goes for interrupting write operations while your camera is taking a picture. If you want to stop a long exposure, don’t just remove the memory card or worse, your camera battery! Powering off your camera should stop the long exposure and safely complete write operations, which is what you want. If something happens to your camera and it seems to be stuck, you always want to wait for the memory card light to turn off before deciding to do anything drastic, like removing camera batteries. There have been cases with some cameras being incompatible with particular memory cards and write operations would take excessively long as a result. Some photographers were not patient enough to wait for the light to turn off and they would take the battery out, which often resulted in memory card corruption. If you take a picture and it takes over 5 seconds for the memory light to go off, you might want to stop using that memory card and replace it with a different one. The same goes for unplugging memory cards from computers – you never want to just remove a card while data is being read from or written to the memory card (again, write operations are particularly evil). The best practice is to safely eject the memory card via your operating system before removing it, which can be easily done in both Windows and Mac operating systems. If you are in a very dry environment and you wear clothes that gather a lot of static, you might want to avoid touching memory cards. While the exterior shell of CF and SD cards is made out of plastic, the pins that connect to devices are made from copper and other materials that conduct electricity. And since electrical components can easily get fried with a static charge, you want to avoid touching them. If I know that I might be carrying a static charge, I usually find a piece of metal, such as a doorknob, that I can use to discharge the built-up static before touching any electrical devices, including cameras and memory cards. Memory card failures are pretty random. Some failures are temporary, with your camera reporting an error but then allowing you to continue shooting, while other errors are permanent – when there is more serious damage to the memory card. If you ever see an error on your camera while shooting to a particular memory card, stop shooting! The last thing you want is make matters worse by adding more images to the card and potentially corrupting the card even more. The moment you see an error, replace the memory card with another one. If the error persists, it might not be related to the memory card. But if the error disappears, your card might be failing. The best course of action in such situations is to insert your memory card into a memory card reader as soon as possible and try to copy all the files. If the files are not corrupted and you are able to successfully copy all the files, you need to know whether it was a temporary failure on your camera, or the start of a memory card failure. Once the transfer is done, perform a low-level format of the memory card on your computer. If formatting fails or you see errors during the process, it is time to either send the memory card to the manufacturer for a replacement, or if you are outside the warranty period, it is time to trash it. If the low-level format completes and you see no errors, then you should be safe to use it again – just monitor the card and if you ever see another error, it might be safer to get rid of it than to continue using it. If you cannot retrieve files from a failed memory card, chances of being able to get those files back are very slim. You can try using recovery software to get the files back, but recovery typically only works on deleted files and formatted cards, not on failed cards. If the data on the memory card is extremely important, you might want to reach out to your local data recovery company and ask if they can help. Keep in mind that such companies often charge a lot of money to restore your data! If you want to prolong the life of your memory cards, always protect them from extreme weather conditions. Never leave out memory cards under direct sun – keep in mind that memory card shells are made out of plastic and plastic can easily melt when exposed to the sun. In addition, by leaving memory cards under direct sun, you might damage electrical components of the cards, which might cause them to fail. Another enemy of electronics is moisture and water containing minerals. While pure H2O is not harmful in any way, saltwater and drinking water with minerals can cause an electrical short, which will certainly cause the device to fail. If you accidentally drop a memory card in water, always make sure to fully dry it out before attempting to read data from it. Make sure that the SD card is not just dry on the outside, but also fully dry inside the plastic cover. My preferred way to keep my memory cards safe from damage is to always keep them in a protected case. I have been using the Pelican 0915 Memory Card Case for years now and I love it, because it has a water resistant seal when I close the card holder, which keeps my memory cards protected from potential water damage. For only $25, it is a cheap way to protect those valuable images! This way, I know exactly which memory cards have been used and which ones remain for me to use. I never format used cards until I get home and safely transfer everything to my main storage. I can only remember one case when I shot so much that I ran out of cards on a three week-long trip and only after making sure that both my laptop and my external drive contained all the images, I finally formatted the largest capacity memory card to use on that trip. Since then, I bought a few more cards, so that I don’t run into this issue again. Some people argue that a memory card should never be filled completely, that doing so will either make it slower or increase the potential of memory card failure. This is a big myth from people who don’t know what they are talking about. First of all, I have never seen a case of a memory card filling up to the level where there is zero space left. When shooting images, if the camera sees that an image will not be able to fully fit on a memory card, it simply stops shooting and shows a “full” note. So the chances of fully taking up space on a memory card are very slim. Second, memory cards don’t work like other types of storage that might slow down when there is little space left. Third, filling up a memory card does not increase chances of its failure. I have been shooting with digital cameras for over 10 years now and I never had to worry about stopping shooting when the number of frames left is low. I always shoot until my cameras tell me that the memory card is full. Even when shooting video, I have managed to fill up cards and yet I have never seen a card fail as a result. Another myth is that deleting images from your camera can cause problems with corruption and potential memory card failure. Again, I am not sure where such claims come from, but they have no scientific backing to them. There is no harm in deleting images from your camera, just like there is no harm in deleting images on your computer. I have been doing this for years and I have never seen a card fail because of it! If I shoot a blurry or a badly exposed image, I get rid of it as soon as I see it on the LCD. Why go through the hassle of culling and potentially importing unwanted images? There is no reason at all – feel free to delete images on your camera or on your computer and stop worrying about any potential harm. The only case where you might want to avoid deleting images is when you have two memory cards setup in overflow mode. As I have pointed out earlier, your camera will place images in the first memory card that has available space, so if you keep on deleting images from one card after the camera already started putting images on another, you might create a mess. Also, if you do decide to delete images from your camera, make sure that you take your time and only delete what you need – some cameras are designed to continue asking if you want to delete images and if you are not careful, you might also accidentally delete previous images. Some of us stash memory cards in large sizes, thinking that we could use them forever. With any storage type, it is not about the question of “if”, it is the question of “when”. Memory cards fail and the more you use them, the more likely they are to fail at some point of time. So make it a good practice to replace memory cards every so often. Maybe every 3-4 years, maybe sooner or later, depending on how often you shoot. Also, keep in mind that newer memory cards are most likely going to be much faster and potentially even more reliable compared to the really old memory cards – just make sure to check their specifications before buying them. You do not want to use a newer generation memory card that might have compatibility issues with your older camera, or your memory card reader. Very helpful article thanks. May I ask what laptop do you use and recommend for Photo and 4k editing. I have a late 2008macbook (SSD and 8gb RAM) which although going strong will struggle now I have the D810 and 4k camera. Darrell, if you like MacOS, I would stay with a Mac and get the 2015 MacBook Pro model with 512+ GB of SSD storage and 16 GB of RAM, similar to this one. The late 2016 version is not something I would recommend for photographers – the touchscreen function buttons, 16 GB RAM limit, lack of SD card slot and other issues have made the new MacBook Pro one of the worst models made by Apple. I hope Apple fixes these problems in the future revisions of the laptop and makes MacBook Pro powerful for serious work again. Thanks. May I ask what laptop you use. Darrell, I updated the comment with a link to the model I would recommend. As for my laptop, I am a PC guy and I primarily use the top model of the Microsoft Surface Pro 3. I also have a beefed up Dell XPS 13. If you are considering PC models, the Microsoft Surface Book is also phenomenal, although pretty expensive. Viola!!! Welcome to Aussie Land!! is a San Disk ultra a bad choice for Nikon D810? I am missing photos. Are photos stored out of sequence? Sandisk ultra 64gb. In lightroom sometimes I notice photos out of sequence. When your memory card is full will the camera still take photos with the shutter sounding on each exposure but, fail to record the image? EXACTLY. Been doing this for the past 10 years. I try to drum this into every wedding photographer I know and reiterate it at conferences I am a speaker at. Yet many photographers play the odds and don’t think it will happen to them. I have seen one company go out of business because they did not heed my advice, lost the photos and had to “run away”. Sadly many of the new photographers (or those who think the odds do not apply to them) buy into Sony who do not provide dual slots and its the reason I would stay well away from them unless I was a videographer. Why video? Seems most cameras only shoot video to one card at a time due to the processing required. As for video, you are right, I don’t know of any camera that is capable of shooting to two memory card slots at once. Serious video shooters use external storage anyway, which is often more reliable than SD or CF cards, so it is usually not a big concern. I have read that deleting unwanted photos in camera to free up the space can cause problems and should not be done. Thoughts? Anthony, that’s a great question and another myth :) I added a section in the above article to address this particular concern, hope it helps! I shoot equine events each weekend, racking up around 2000 photos. Deleting the bad images has never caused card issues for me. So a typical year would be around 104000 shots, delete about 30% of them on the card. Some of my cards are now 3 years old and never let me down. Always format the card in camera before the shoot starts, and use 2 slots, first slot primary, 2nd slot backup. Thank you for sharing your experience Jonathan! Where do you get Samsung SD Pro+ cards? I can only find them in micro. Am I looking for the wrong item? Thanks. Michael, it looks like B&H does not carry Samsung Pro+ cards, but you can find them on Amazon. Here is a link to a 64 GB Samsung Pro+ card. It is sold by Beach Camera (authorized seller) and shipped by Amazon, so it should be a reliable source. Thank you, Nasim. I’ve bought from Beach and yes they are reliable. Just ordered the card. And how much did it cost? I can get that kind of card for under aprox. 40USD in our local micro sd retail shop . Another reason to not buy a no-name brand card reader is the transfer speed from card to computer also depends on the hardware in the card reader. I’ve tried different USB 3.0 card readers giving me between 20 Mb/s to 80 Mb/s transfer output from the same SanDisk SD card. So unless you want to wait ages for your images to transfer, but a decent known-brand card reader. I can recommend Kingston for SD-cards. That’s a great point Soren! If one buys a third party card reader, it is important to fully understand the specifications and test the hardware before putting it to use. Great Report ! Thank you Nasim. You are most welcome Nick! Thank you for sharing your experiences! Very interesting article! I have worked as a mason for a long time, so I know that good tools make the work much more easier. A poor man do not afford to buy cheap, I used to say. Here in Finland the availability of memory cards is limited to a few brands. For digital photography, I have used cards from SanDisk, Transcend, Kingstone and Sony (always bought the most expensive model from the camera store). Transcend and Kingstone cards is the only ones who have failed. I photograph a lot of sports, and with today’s cameras, the image files are getting larger and larger. Therefore the writing speed is more important. I’ve now had the possibility to test Lexar® Professional 2000x SDHC™/SDXC™ UHS-II card for the first time. Only with this card have my cameras been able to to reach the manufacturers frame speed promises. Unfortunately I destroyed my Nikon D750 camera + all lenses during a canoe trip in the Kymi River. In the last rapids ended all equipment under water, but all data on the Lexar® card was readable and I use it still. I will publish the my card experiences on my dismason.org/ -blog later on. Waiting still for the new Hasselblad X1D camera. Dismason, congratulations on finding your passion! The UHS-II cards are nice and I believe Sony just announced new UHS-II SD cards that can now reach 300 MB/sec. Pretty sweet! As for the Hasselblad X1D, I have one sitting on my desk. Image quality is stunning, but the blackout after taking a picture is very annoying. I am leaving on a week-long trip to take pictures with the X1D soon, so hopefully I will be able to produce a review within the next 3-4 weeks. Thank you Nasim for the comprehensive article. Rashad, that’s another marketing gimmick and another reason why I don’t like labels from Lexar. Supposedly, Lexar invented the “x”, which is supposed to represent 0.15 MB/sec for each x. Hence, a 1000x memory card is supposed to give you 1000 x 0.15 MB/sec = 150 MB/sec speed. How idiotic…I don’t care what 633x or 1000x translates to – show me the real numbers please. Another great article with lots of valuable information! In the past I only used SanDisk and Lexar cards in my gear. After having quite a few Lexar SD cards fail I’ve only been using SanDisk in my gear for well over a year and haven’t had any issues at all. I use smaller sized cards (32GB) for the reason cited in your article. Using cameras with only one card slot is a risk that sometimes cannot be avoided based on one’s choice of gear. As noted in your article, I always take additional batteries with me and change them out when my camera shows them down to one bar. When going on an extended multi-week shoot I always buy a small, portable drive to back up all of my images from that particular trip. I use Western Digital My Passport 2TB drives which I can buy in Canada for about $120 each. They are compact and I’ve found them to be very reliable. In advance of the trip I will set up files on the portable drive for each shooting day then transfer images onto the portable hard drive each evening. This also allows me to further catalogue my files into individual location files while the memory of the day is still fresh in my old, porous brain. Since I don’t use LightRoom I do all of my cataloguing using Windows Explorer. I typically use my cards as another form of backup and keep images on them until I have completed my project. When I do client work I always take three camera bodies with me. Since my Nikon 1 bodies only have one card slot I often capture critical or difficult scenes using 2 or 3 bodies simultaneously, or will reshoot scenes using a different body. This not only serves as a back up but also provides additional choice in terms of scene shooting angles. The other issue using Nikon 1 bodies for video is that they are not designed to capture long video clips and they can overheat after heavy use for about 20 minutes or so. After my cameras finish writing to their cards I turn them off until the next scene to reduce the risk of overheating. 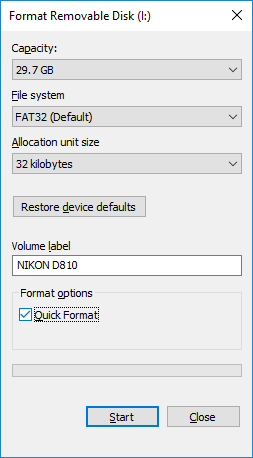 Mr. Stirr, can you copy image files from the average Nikon DSLR directly to your Western Digital My Passport without a computer? Thank you. Interesting article and definitely an item that is not always considered important. I like to compare memory cards to your car tires. You can have a nice ride, but if you cheap out on the tires you may end up with some bad surprises. One thing that could be interesting to talk about is the frequency you should format a memory card. I tend to fill them as much as I can and use Lightroom to filter what I already imported. I am under the impression they have a lifespan and if you are always using the first segment they may become unusable after a while. This is just an impression, I am not a memory expert. I do not get crazy with that either. Before and after a weeding I will format everything. This is just for my regular shooting around the house or small projects with like a small amount of pictures. Simon, that’s a good analogy! As for the frequency of formatting memory cards and filling them, you should not be concerned with that. First of all, it will take a very long time before a memory cell dies, even if you use a memory card extensively. Second, memory card chips are pretty optimized to write data randomly in different areas of the memory card. So it is not like a vinyl or a floppy disk, where information could be always written to the same area – data is going to be placed in random locations. Lastly, if a memory cell dies, there are other cells that remain to use for the card, so the chip already knows not to write to those dead cells and move on. Thanks Nasim for the clarification. I was under the impression they were not using the cells randomly. I have had similar experience, slower speeds, when testing on my Win. laptop using built in SD card reader, until I tested (using free Crystal Disc Mark) the same cards, SanDisk Extreme Pro 64gb sdxc, uhs I class 3 on my desktop using the Lexar dual card reader mentioned in the article. The speeds on the PC were … read 97.00 MB/s write 89.5 MB/s, the 2 cards were purchased from Amazon. Note that there is a version of this dual card reader for uhs II cards also. Its denoted by a 300 or a 400 (400 is UHS II) within the model number on the back of the reader. Your “Where to buy” jump off is to the “400” version. I read somewhere that if the card can still take a format, not low level, then do so and you can then do an unerase with selected software, because the files are now deleted. An excellent article, thank you very much for it! I would like to add that moving and deleting photos from the memory card could also lead to a problem if the card reader in use is malfunctioning. I had once moved a large number of files to my computer, source was a Sandisk Extreme Pro SD card, the card reader was a Transcend RDF5 model. The file operation went without a hitch. But some days later I had to discover that a number of files, maybe 1%, had been corrupted, resulting in pink noise for the lower two thirds of the frame. Luckily, I could restore the corrupted files from my backup card. I had the card reader replaced on warranty but switched to a Kingston MobileLite G4 type immediately. Apparently, the Transcend reader has a reputation for faulty models, even though the reviews on Amazon are very positive. I’ve never had any issues with the Kingston reader yet, I can recommend it. So, this experience has led me to the conclusions that (1) moving and deleting files from the card holds the danger of losing the data before making sure that all files have actually been transferred correctly to the computer, and that (2) a backup card in the second slot, where available, is very important. In addition, using the second slot card lets me delete bad pictures from the first card with little risk immediately after shooting. If I later discover on my computer screen that e.g. the focus is off for a picture from my first card selection, I can check if I find a better version on the backup card. Arndt, yes, that’s why I said that a good card reader is preferred, since the chance of failure is going to be lower due to better quality control and it is most likely going to have better hardware. I don’t buy SanDisk card readers anymore, because Lexar is superior. But when it comes to memory, I don’t buy Lexar and only buy SanDisk. Bad hardware can definitely lead to problems, so one must test hardware before fully trusting it. Good morning, Nasim. Thank you for another great article which is quite timely for me. I recently purchased a used D7100 and was disappointed with the write speed I was experiencing. Before I even considered a problem with the camera I began looking into my SD card choices and found that the write speeds were dismal (less than 45mb/s) and upgraded. As a new photographer, I’m finding that cards with [actual] write speeds in the 87-90mb/s are a vast improvement and satisfactory for me. All that said, I also know that image quality plays a role – larger images take more time to save. I found that using an 87-90mb/s card in basic JPEG mode will allow me to fire the camera non-stop for at least 50 frames. Even shooting wildlife/birds I don’t think I need to achieve such “stress test” levels of performance. I was wondering if you would share a word or two on what quality settings you like to use while photographing wildlife which allow you the best compromise of final image quality and frame rate (say a 6-8 frame burst). Gabe, yes, memory card speed is very important. Just last night I was checking out a 64 GB Lexar card that showed 95 MB/s on its label and yet when you look at its specs, the write speed is limited to 20 MB/s! That’s just ridiculous and I really hate the fact that such data is hidden from labels. I would never buy a card that has 95 MB/s read and 20 MB/s write speed. I have been using CF cards since the time they were invented and they are by far more reliable and resilient than SD cards. In all the years I have been using CF cards, not one ever failed on me. I have 2GB cards from God knows when that still work. On the other hand , I started using SD cards with my D750 for just over a year now and alreadty had hiccups. I understand that camera manufacturers want everything smaller but when technology does not support the standards we need, maybe it’s time to switch back to a more reliable method? It reminds me the VHS vs. Betamax. Betamax was a superior technology, yet everyone decided to use the former. Motti, while I fully agree with you that CF cards are more reliable than SD cards, I really hate the fact that CF requires pins on readers. I have bent memory card reader pins a number of times, which is very annoying. I hope CF gets permanently replaced by XQD or similar cards that do not have the pins, but have the same reliability as CF. Yes, the pins can be an issue but I myself never had a problem with the pins (although I know many do). What I would like to see is a standardized industry. If the XQD are even more reliable and trusted than CF cards then ALL camera manufacturers should have them as standard cards. This way we can use the same cards on different cameras, they will be more affordable and we can trust them to work all the time. Once again a great basic knowledge enhancing article Nasim ! It helped me to clear my mind from the previous ‘myth’ that deleting images from a memory card in camera damages it. Ranjan, you are most welcome! Great article, Nasim! Everything you said is spot-on. This is such an important topic that some people don’t pay much attention to. 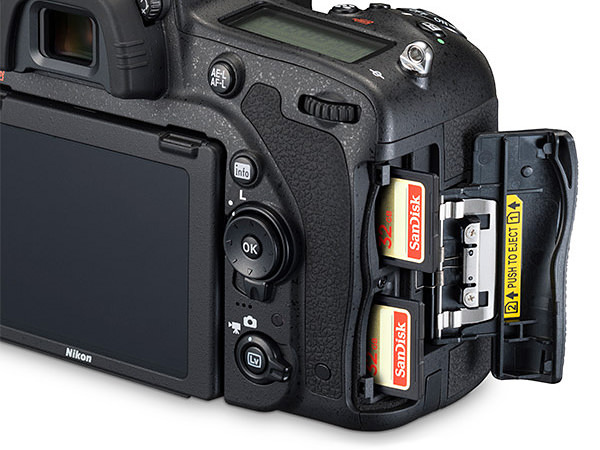 One thing I’d like to add regarding using the second card slot on your camera as backup. If you choose to do this, make sure both of your memory cards are fast, especially if your camera creates large files! When you shoot in this mode, the camera (or at least Nikon cameras) does not write the information to both cards in parallel. It writes the image to the first card, then writes it to the second card. Usually not a big deal if you don’t shoot bursts of images. But, when I first tried this out with my D800, I bought a fast small card and a slow big card because it was so much cheaper. Well, I found that I could only shoot bursts of a few images before my camera bogged down due to a full buffer! A slow memory card essentially crippled my new D800. Once I spent the money on two fast cards, I was back up and running. That’s a great point John, thanks for letting us know! Memory card is indeed very important. Hello Nasim, thanks for this article. I am surprised there was no mention of transferring images directly from the camera without removing the memory card. I never remove the card to transfer images as this eliminates the physical wear on the card. I have been doing this for many years without ever having a problem with cards. What is the logic of card readers as long as one has access to a computer for downloading? Great point Ted and like you I never take my card out of the camera. I was wondering that myself. My current card has been in my camera for over a year. Ted, I really don’t see the reason to do this. Memory cards don’t get easily damaged when taking them out. I personally don’t see myself getting a hold of a camera each time I need to transfer images. And if I come back from a wedding with several memory cards full of images, I would have to insert them into my camera anyway. And let’s not forget that most cameras have very slow USB 2.0 interfaces! I would not be able to tolerate USB 2.0 speeds when USB 3.0 is so much faster in comparison. Looks like you have a large capacity memory card where you are storing all the images. Please see the above article that discourages such behavior – you are putting your eggs in one basket, which is not a good idea. Ah, good point. I am sure this is right for most shooters — but IMHO it is a matter of personal style. I shoot scenics and only press the shutter when I am convinced the shot will be good. I find this results in many more good shots and fewer shots overall. It takes me five days to fill a card, but I download daily. My method is very influenced by film. I am sure it’s not that common. Yan, that’s obviously a whole different shooting style, so if someone shoots like you, there is no reason to take the memory card out each time. Makes sense! Thanks for the information. As related to Compact Flash card readers – be sure the reader pins are far enough back inside the reader so that the entrance to those pins serves as a guide for proper alignment of the card. I recently purchased a computer with a built in multi-type card reader. The pins for the Compact Flash reader are only about 1/4 inches back from the front of the reader. It is really difficult to align the card without bending the pins and I damaged the reader the first time I used it. I now use the Lexar reader and have had no problems. When I travel I use a camera with only one slot and I do not carry a laptop with me. Are there solutions to copy images from the CF/SD card directly to a small hard drive? DB, the most versatile solution would be the Sanho HyperDrive, which can take both CF and SD cards to dump all the data in them to this device. If you just need SD, the Western Digital My Passport Wireless external hard drive works pretty well too. Thanks, Nasim, for the two suggestions. Really appreciate your detailed article. I have been very lucky without damaging the pins on CF cards. You are absolutely right that XQD or other formats without pins would be a welcoming for us consumers. I use both SanDisk (both CF and SD cards) and Samsung (SD cards). Not sure why only few resellers are carrying their SD cards. It is good to stay with reliability brands since my photos are far more valuable than saving a few bucks. Joe, fully agreed sir and thank you for dropping a comment! I have a relevant question. One of the clerks at 47th Street Camera convinced me to buy a very expensive 16 gig Digital Speed Ultra High Speed (160 mb/s) memory card, claiming that it would be preferable to using the SanDisk (and similar) Extreme PRO 95mb/s write speed cards I had been using to shoot birds in flight with my Nikon D-750. He claimed that I should use the higher download Digital Speed card, as I was likely losing information with the slower cards. I frankly did not notice any difference between the quality of images taken with either of the cards, but don’t have the most discerning eyes. Do you think the clerk may actually have a point that I am missing? Ted, could you please point out what specific card he made you buy? If the brand name is “Digital Speed”, it is complete junk and you were lied to. Please never listen to advice from camera salesmen, unless it is from a very reputable seller like B&H Photo Video and Adorama. Everyone else will make you buy junk for a much higher price, because that’s where they make their money. Never buy filters and memory cards from salesmen please. Sorry to disappoint you, but you would have been much better off with a SanDisk. A point you missed was udma7 cf cards, I did not have problems with them but lexar indicates that if you do not use an udma7 card reader you in the long run will get a corrupted cf card. I asked lexar, they confirmed the issue, but even I asked for a technical explanation I never got one. As a matter of fact I got udma7 cf readers, but what I was unable to figure is why a non udma7 card reader corrupts a card and why it does not happen when you review pictures in a non udma7 camera body. Really it do not make so much sense. by the way not deleting frames in a memory card means that all “sectors” are adjacent, and it is easier to recover deleted frames. I wrote sectors because cf handle memory as a ata disk. My experience with Lexar has not been positive as well, I don’t know if they have changed but I always found Lexar cards too fragile and flimsy. Also I’m not a fan of their marketing BS (1000x, 2000x, xxxx) they’re stuck in the 90’s, they believe they’re selling CD’s and DVD’s. We spend more for these cards, we do know what 45 or 95Mbs means. 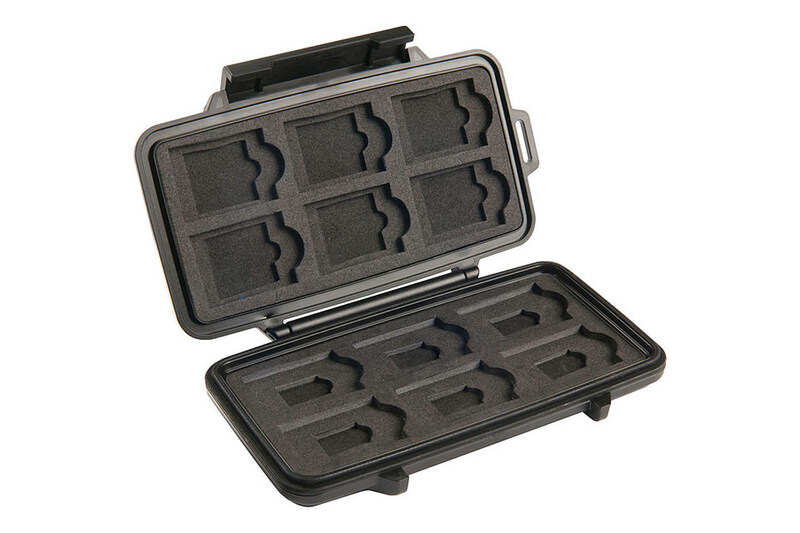 Hi Nasim I also have the Pelican 0915 Memory Card Case and I wonder if they have replacement foam ? I would replace one side with XQD foam slot since I bought a D500 and dont want to pay for a brand new Case ! Thank you for a great article Nasim. Would you have any suggestions of software to retrieve erased files on a memory card? I was under the belief that deleting files from a memory card using the delete function in camera counted as 1 read/write operation. Therefore, if say 60 files were deleted from a total of 500 files shot then there is a total of 60 read/write operations versus using the format operation which counts as 1 large read/write operation. Wouldn’t a card last longer by formatting rather than separate delete operations? Thank you, Nasim, for an excellent article! Very informative with helpful real life experiences. One question, how long do these cards last? I save my photos from each trip on one or more cards which I then keep as a backup after copying the contents to my computer. It helps organize the images and the incremental cost is trivial. Thus far, even 8 year old cards seem to still have all the images intact, but I’m wandering whether that will last. The cards store the data as static charges, which apparently gradually leaks away. Is there a limit in your experience? Do not take my words for sure, but if my memory (brain, not card) is right I remember reading a long ago in a manufacturer page that data retention in memory cards is around 10 years, of course you can take data away and rewrite and have more time. To be in the safe side my suggestion is ask Sandisk, Lexar, or whichever brand you use about lifespan. Thanks for sharing your experiences. I’m glad that you addressed these issues. I believe I know where at least some of the myths about memory card use have come from. I recently read an article written by Jeff Cable, who was director of marketing for Lexar. In this article he doesn’t recommend deleting images in camera, formatting cards in a computer or filling cards to capacity. He also states that it’s not necessary to keep cards in cases. Thank you for posting the link to the article from Jeff Cable. My guess was wrong but in the end correct. It seems that scrambling the FAT table is why a card shouldn’t have many deletes in camera and not the use of read/write operations. I wouldn’t put much stock in what Jeff cable says in his article, as it is contrary to what Nasim has shared above. It is also contrary to my experiences. The reason I shared this article is that Nasim stated that he wasn’t sure where the myths he described came from. I just disagree on the small cards for travel. As you pointed out, you once lost a card and the relative images. If you have to juggle multiple 32 GB cards over something like 2 weeks, it is more likely that you may lose one than something going wrong on a 128 GB card. A couple of 128 GB cards can store a whole trip in many cases. When I travel each evening I transfer my images to a lightroom catalog on an external SSD like the Samsung T1 and T3. I also back everything up to a 1 or 2 TB old portable drive. I have a couple of those hard cases for memory cards, but I find sometimes the memory cards may fall off from some slots. So I decided to keep only the filled up cards in the case, and the empty ones in a Tenba or Think Tank memory card wallets that have a laniard or an eye to attach them to a carabiner. I found that sometimes the plastic ridge that separates the contacts of the SD card crack and break. I wonder if may be a better option to use micro SD cards with a SD card adapter. It may be more durable as those SD card adapters are cheap. A couple of years ago I bought some and I have not seen a price difference between micro and standard SD. I wonder if now it is different. I have a rule that almost totally eliminated my problems with memory cards. Do NOT use the computer to update or edit the pictures and save the them back on the memory card! Never Ever do this. You will get away with this several times and then your card will say it is corrupted and needs formating or is in read only mode! There is nothing wrong with the card just a mixing of operating systems which should be compatible but are not! Always use the camera to format the card! Afterwards do not put the card in another camera – get you pics on the computer ASAP and reformat ASAP! Reformating often cleans up the card and you are good to go! Since doing this I have not had the 1st problem with any card regardless of brand and filling them up has never been problem. If you want to show your pictures to friends use a flash drive updated from a computer! This is interesting post. I will share some tips on how to properly use memory cards and how to take care of them based on my many years of experience, both as a photographer and as an IT professional. Thanks for sharing this information. Hello, Some digital cameras can store photos and videos directly onto the cameras themselves, but memory cards act as storage devices for those cameras without this feature. Even cameras with self-storage generally offer a limited capacity of storage space and memory cards can greatly expand the amount of photos and video footage that a camera can hold.